Hot tips for 2010 | What Car? 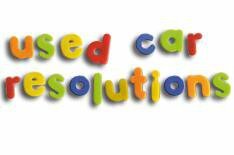 Planning to buy a used car in 2010? Make sure you shop wisely with these handy car buyers' New Year resolutions. We've also asked some of the UK's leading experts on used car sales to give us there top tips for buying used in 2010. Make sure you check out their tips at the end this feature before you even think about handing over any cash. What Car? used cars for sale facility helps you search through thousands of quality used cars to help you find the best used car deals from dealers, car supermarkets and independent dealers. Just click the experts on the whatcar.com fridge, below, to reveal their hot tips for 2010. See what they've got to say about what's going to be hot on the used car market this year.